Crash Bandicoot is on PC. I've played it and yet I still can't fully comprehend it, like a color that shouldn't exist, or some sort of uncanny valley android. It's been over 20 years since I first played Crash Bandicoot, and in all that time it's been a tentpole PlayStation series. Hell at one point in the '90s, the titular Bandicoot was the PlayStation's mascot, its answer to Mario. And now it's on PC. Even weirder? That's the best way to play it, these days. You can thank/blame the long, slow march of hardware—and for once I'm not talking about graphics cards. That's usually the reason I'd recommend a PC over a console, and Crash Bandicoot: N. Sane Trilogy certainly looks great. 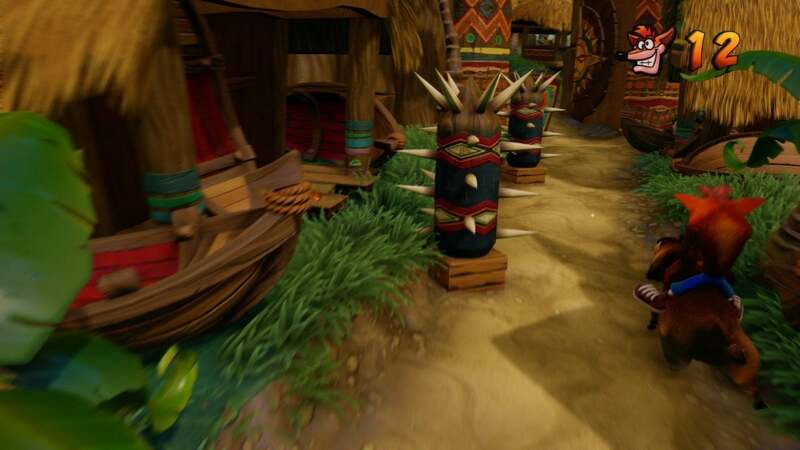 The N Sane Trilogy is one hell of a remake, perhaps the bar by which they should be judged. Gone are the old polygonal graphics, replaced with something that looks like it could've released for the first time in 2018. Pretty astonishing, given the 22 years in between. It makes sense though. Crash Bandicoot came on the cusp of 3D gaming, early in the PlayStation 1's lifecycle. Limited by technology, developers instead had to rely on strong art direction to stand out. Crash is colorful and iconic, as are the worlds he runs through and the creatures he fights. 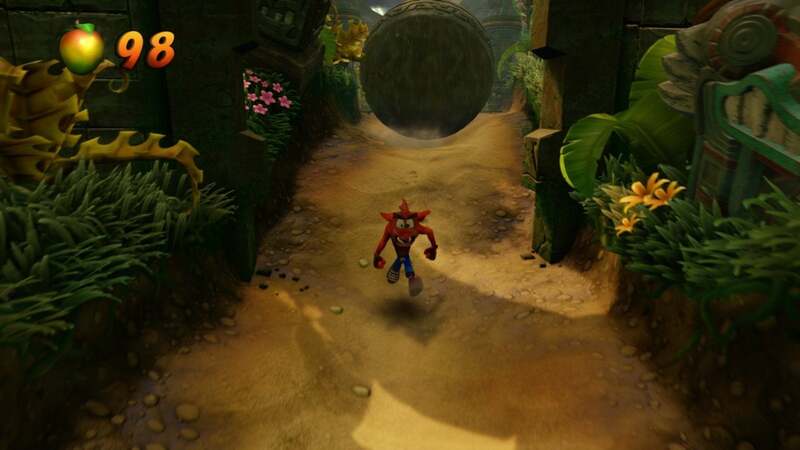 It's an altogether easier job to overhaul Crash Bandicoot, I imagine, than an early "photoreal" game like Medal of Honor. Not easy, mind you, but easier. Keep the designs intact, just pack them full of detail. And that's what you get with N Sane Trilogy. Crash has fur. Objects cast shadows. Foliage sways as you run past. Water looks like water and fire looks like fire. All the advances in textures and shaders in the past 22 years, brought to bear on an embodiment of early 3D gaming. I've said before: The sign of a great remaster or remake is whether it looks like you remember the game looking. The N Sane Trilogy definitely looks better than even the rosiest-tinted memories of my youth, but it's still recognizably Crash Bandicoot. Pros and cons to that, too. Crash Bandicoot...hasn't aged great. It's not offensively bad or anything, but it's clumsy in the way of most early 3D games. The first game in particular can be a nightmare, with a locked camera that sits uncomfortably close to the action at all times. The back half of the trilogy is better in that regard, but even then Crash controls like a half-deflated balloon with shoes. The action's also simplistic, even factoring in when Crash Bandicoot was made. Run toward the screen and smash all the boxes, or else run away from the screen and smash all the boxes, or (often the best levels) run sideways and smash all the boxes. Over and over and over. 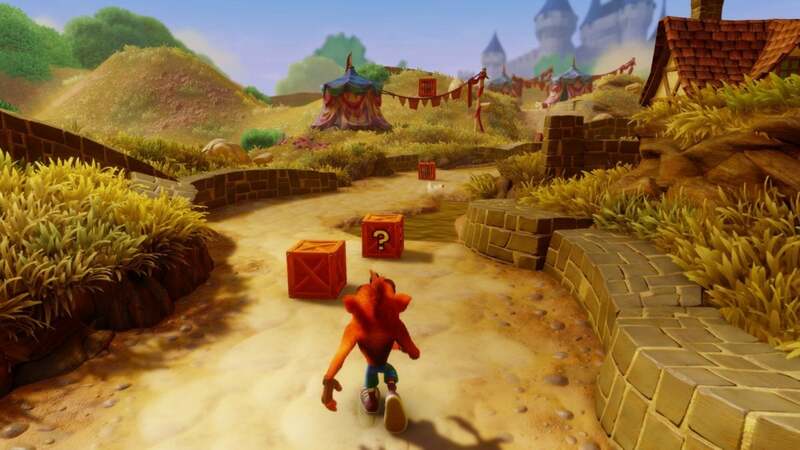 There are some standouts, and the third game does a slightly better job of breaking up the action, but in 2018 Crash Bandicoot doesn't compare favorably to the more open-ended levels of Mario 64, Spyro, Banjo Kazooie, and its other contemporaries. It's repetitive and more than a bit dull. But like most remakes/remasters, I imagine that doesn't matter much to those who just want to dip into nostalgia. The N Sane Trilogy is great for that, and an important entry in ongoing efforts at game preservation as well. Regardless of how Crash Bandicoot plays now, it was a formative series for a lot of people and deserves to be easily accessible once again. On PC though. That's what's still amazing to me! And important, too. See, the N Sane Trilogy released on PlayStation 4 last year. I bought it, I played some of it. I'm not usually in the habit of buying games I suspect will come to PC later, which goes to show I had zero expectations that Crash Bandicoot would make the leap. The PS4 version is good, too. It looks every bit as pretty as the PC release, and the larger TV screen really lets you feast on the details. Crash Bandicoot falls prey to modern hardware trends as much as it benefits from them though. This was a game designed for old CRT televisions, with a console usually piped straight into the back with RCA cables. Minimal latency, which is great for the pinpoint precision needed in some levels. Modern entertainment centers are slooooooow, though. I haven't bothered to clock my TV setup, but I can tell the difference as soon as I run a PC into it and feel how sluggish the mouse and keyboard are to react. It's well over the 30 milliseconds commonly cited as the barrier where people notice latency. HDMI is slow. LCD TVs are slow. It's all slow. PCs don't strip out all the problems, but monitors are generally lower-latency than their TV counterparts. Whether the average player would notice? Probably not consciously, but Crash Bandicoot certainly feels more responsive (to me at least) playing on PC than it did playing on a PS4 Pro last year. Frame rate helps, too. 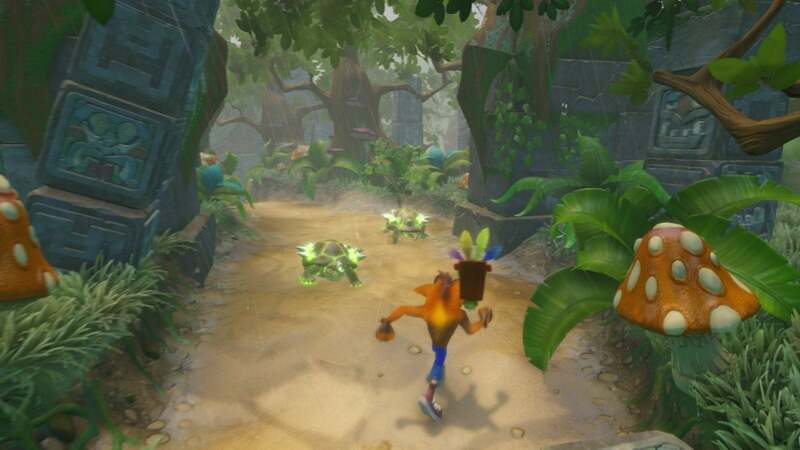 The PS4 version of the N Sane Trilogy was locked to 30 frames per second. The PC version bumps that to a cap of 60, which makes every animation look just a hair cleaner and smoother. That means better reaction times, which also means fewer clumsy deaths. An all-around better experience. It's a great way to play Crash Bandicoot. Again, I'm not sure you'll necessarily love replaying them. My time with the N Sane Trilogy has been very hit-or-miss, with some levels an absolute joy and others dreadful. If I ever have to fight Ripper Roo again I might cry. Vicarious Visions did an incredible job of bringing Crash into the modern era though, with all the bells and whistles one could possibly expect. It's a fantastic artifact of mid-'90s gaming. I'm grateful Activision brought it over to PC, where it will (presumably) stand the test of time—or at least the next decade or so. Sure, you could always grab a PS1 emulator, but it's nice to have a legal means to re-experience some of the classics. 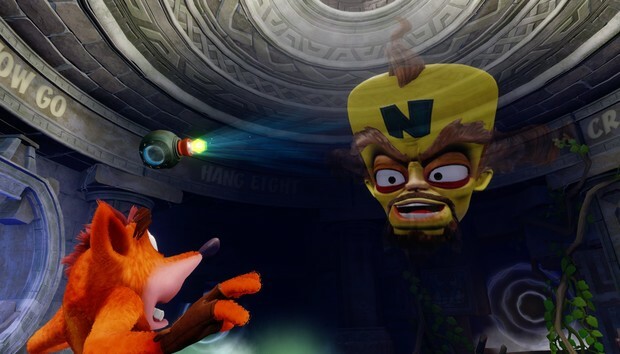 Even if it still feels weird to me, seeing Crash's sneering face on my monitor.